Application: Homes, Shops, Offices, etc. 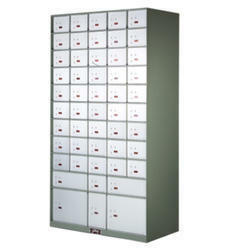 Feature: 10mm door with External Hinges for door opening beyond 180 degree. Triple horizontal bolts with double locking. Double locking also locks a vertical bolt from the top of the door. 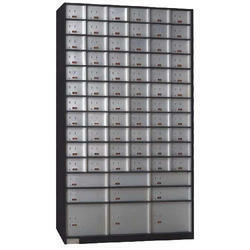 Safe deposit locker cabinets for safe deposit vaults provide solid protection to valuables, from thefts of any kind.